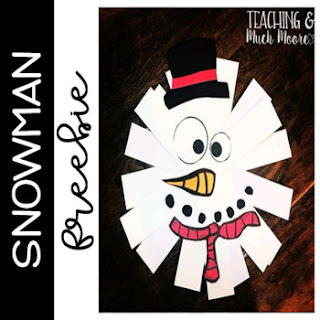 Are you looking for an easy snowman craft freebie? This fun snowman art is perfect for January and requires very little prep on your behalf. Included are all the parts you need to make this snowman craft, a photograph and teacher directions. • LOG IN first and go to your My Purchases Page. Beside each purchase you'll see a Provide Feedback button. Each time you give feedback, TPT gives you feedback credits ( which is like FREE MONEY ) that you use to lower the cost of your next purchase. I really do appreciate your feedback. It helps me see trends in which products you prefer in my store so I know what to create next.